Anthuriums are a huge genus of beautiful blooming plants available in colors ranging from red, pink, yellow, white, green and even lavender. 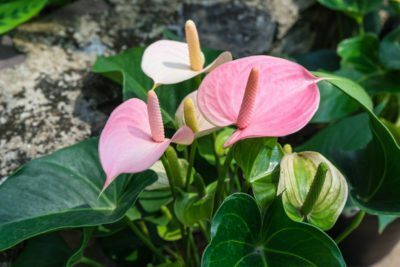 Although they are most often associated with the Hawaiian Islands and other tropical locales, the good news is that you can enjoy anthuriums indoors, even if you live in a chilly northern climate. Below, we’ve provided articles that will help you grow and care for anthurium plants. In spite of its exotic appearance, anthurium is surprisingly low maintenance. However, cutting back an anthurium is necessary from time to time to keep the plant happy and healthy. 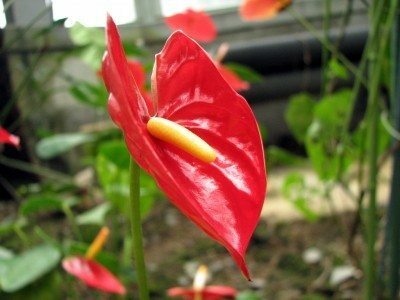 Wondering how to prune anthurium? Learn more in this article. Anthurium is a great plant even for inexperienced gardeners. Maintenance is low, although dividing anthuriums is sometimes necessary to keep them blooming. Click this article to learn more about when and how to divide these plants. 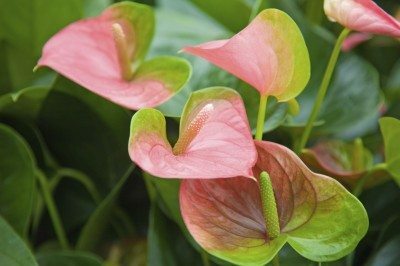 Cuttings are a far easier way to get a new plant, but if you are up for an adventure, some tips on planting anthurium seeds can help you find success. This article will help get you started with propagating anthuriums from seed. Just one anthurium plant can give a room a more tropical feel. Naturally, homeowners are adding this exotic plant to their outdoor rooms as well. However, while anthurium tends to grow well inside, anthurium outdoor care is more difficult. Learn more here. Anthurium pest control starts with recognizing the insects infesting the plant and then taking prompt measures to eradicate them. Learn more about them in this article and find tips on how to control insects on anthuriums. Anthuriums are interesting, lesser known plants. The flowers have a unique look and low maintenance requirements, particularly when it comes to water. Learn more about anthurium water requirements in this article. Anthurium plant care is relatively straightforward and repotting anthurium plants is a task that should be done only when required. Find valuable information on when and how to begin repotting anthuriums in this article. Anthurium plants produce hues of red, yellow and pink. Additional colors include green and white, scented lavender and a deeper yellow colored spathe. When anthurium flowers turn green, it may be species or it may be age or incorrect cultivation. Click here for more info. Anthuriums relatively disease and pest free but are fussy about humidity and moisture. Find out the answers to why an anthurium with drooping leaves is doing poorly in this article and save your prized plant. 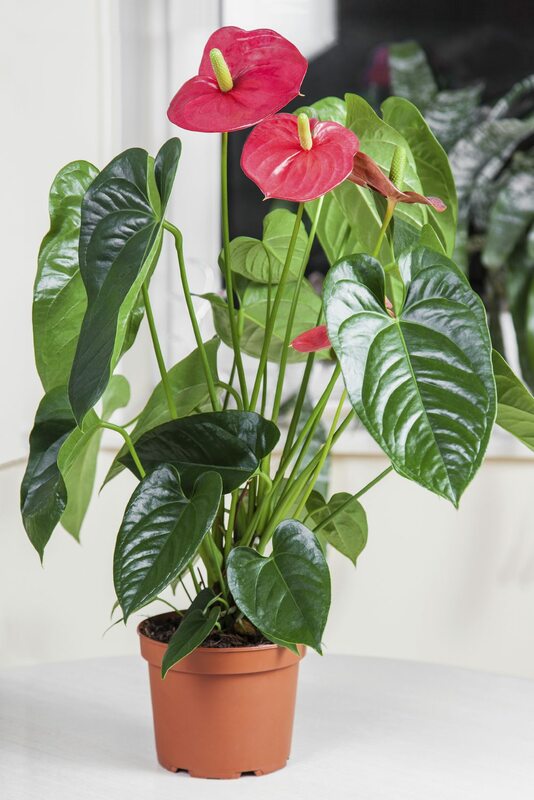 The anthurium plant is grown as a houseplant in cooler areas and as a landscaping plants in zones 10 or higher. Proper care for anthurium is easy if you provide a few key elements found in this article.